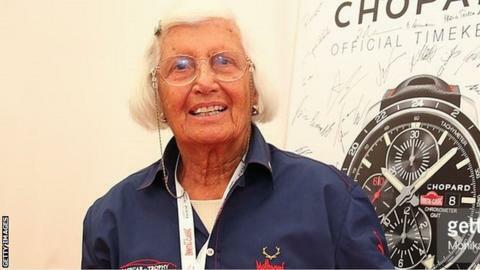 Maria Teresa de Filippis, the first woman to race in a Formula 1 grand prix, has died aged 89. The Italian started three grands prix for the Maserati team in 1958 with a best finish of 10th at Spa in Belgium. She also failed to qualify for the 1958 Monaco Grand Prix along with F1 boss Bernie Ecclestone. The late Lella Lombardi, another Italian, who started 12 grands prix between 1974-76, is the only other woman to start a Formula 1 race. De Filippis attempted to qualify for the opening race of the 1959 season at Monaco, but was unable to make the cut for the 16-car grid with the Behra-Porsche team. She walked away from the sport following the death of her team owner Jean Behra at that year's German GP and retired from racing aged 23. De Filippis later became vice president and then honorary president of the Club Internationale des Anciens Pilotes de Grand Prix F1 for retired drivers. She was also a founding member of the Maserati Club and went on to become its president.